Riverview third graders and sixth graders met Officer Cory Grover after reading and discussing the story “Aero and Officer Mike.” Officer Grover brought his police dog and talked with the students about the training that he and his dog went through together. Officer Grover explained how his police dog is a loyal partner and they work together every day. Students had a great time making connections from reading "Aero and Officer Mike" and meeting Officer Grover and his police dog. Thank you for your service! Today is the first day back from Christmas Break; sounds like most had a Merry Christmas. Legos were a hot item, so were Hover Boards, hatchimals, RC cars, drones, smart watches, and the flu. I asked some what their New Year’s resolutions are. Kid’s resolutions don’t change much from year to year: “I want to get better at times tables.” “I’m not going to fight with my brother.” “I will be a better reader.” “I want a new puppy.” I said, “Uh….that really isn’t a resolution, it’s a wish. A resolution is something you want to improve in or change.” He then said: “I want to change the way my mom feels about having a new puppy.” Clever boy! It’s good to be back! The third session of after-school clubs will begin on Monday, January 8th and go until Friday, March 2nd. The fees for clubs will be $12 this year. Please fill out the registration forms if you haven’t completed one this school year and make the payment in the office by Friday, January 5th. SEP Conferences will be held Wednesday, January 10th and Thursday, January 11th. You will be getting an email from SignUpGenius. This email will allow you to visit the website, find your child’s teacher (s), and sign-up for the time that is most convenient to your individual schedule. Thanks so much! Cool weather is upon us. As you know, poor air quality is common during Utah winters and affects health. 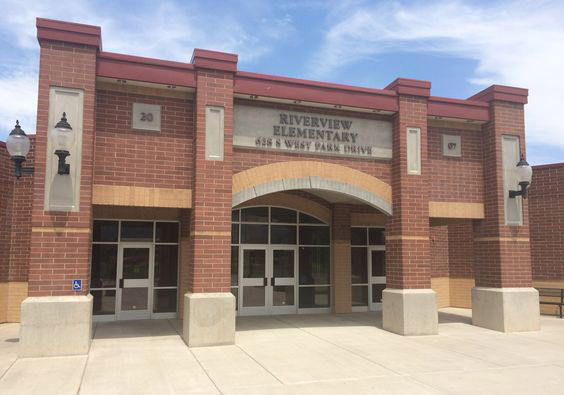 Riverview monitors air quality from: http://air.utah.gov/. We follow the Utah recess guide: http://health.utah.gov/asthma/pdfs/airquality/recessguidance.pdf. During the cold months we will check air quality levels in the morning. Students will remain inside when air quality reaches high levels on the air quality index. If the air quality is good ALL students will be sent outside for recess. Please make sure your child is coming to school with outdoor clothing during the cold weather months. January 5th – Popcorn Friday; PBIS assembly @ 2:15 p.m.